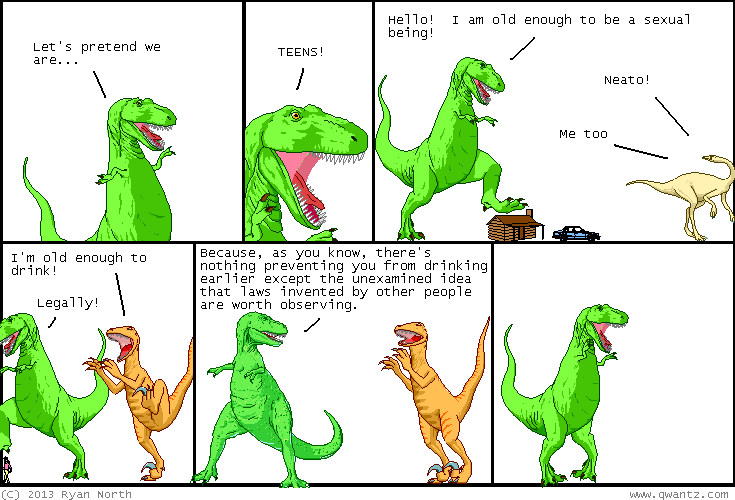 Dinosaur Comics - December 10th, 2013 - awesome fun times! 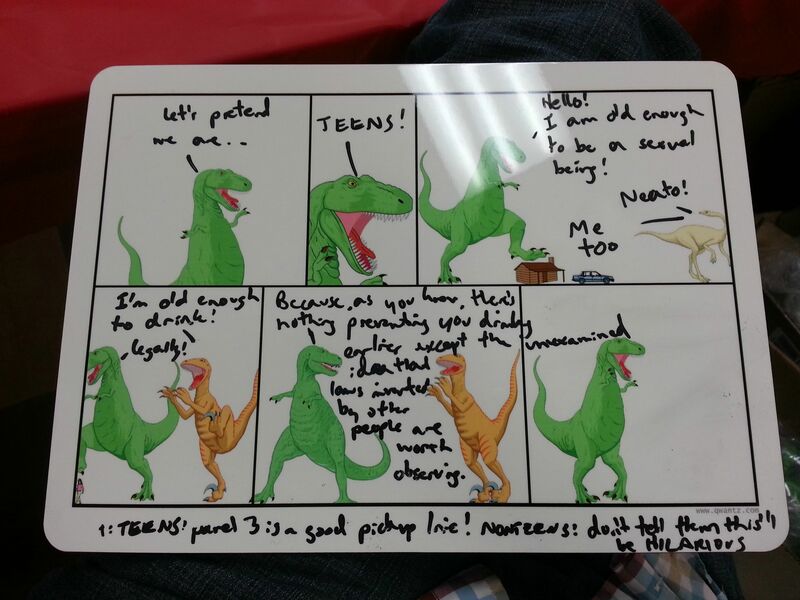 December 10th, 2013: Today's comic was written on one of my whiteboards at Webcomics Rampage! WHICH WAS A LOT OF FUN, INCIDENTALLY. The show, not writing on the whiteboard! Though that too was fun! Anyway it was ALL a great time! Hey did you see the AV Club released their list of the best books of 2013? This Is How You Die is on it! This all-new sequel to Machine of Death came out this year and I think you will probably enjoy reading it is the thing?? One year ago today: the movie version should be called "Case #1023 Is Coming To Town" and ends with Rudolph putting on the Old Silk Hat, his organic-matter-destroying radiation becoming a separate entity, and then Case #1023 it forced to -- but I don't want to spoil it!